Dear Dr. Laura . . .
Yikes! Before we go any further, please don’t call me “Dr. Laura.” Please call me Laura. Coaching is a partnership of equals, and addressing me as Dr. Laura or Dr. Belsten does not engender a co-equal partnership. Plus, there is another “Dr. Laura” on the radio who, in my opinion, is not a very good listener, and I don’t wish to be confused with her. Thanks. Can your coaching help me? board for ideas and brainstorming possibilities. We will also challenge you, ask you tough questions, and we won’t let you “coast.” Laura is an exceptionally talented executive coach who has held a number of leadership positions. She has been in your shoes and she has worked with hundreds of executives throughout the country. Together, we can conquer your greatest challenges. Needs and goals vary widely. As a result, our fees can be structured hourly, for an engagement, or as a retainer. Ballpark? Private executive coaching ranges from $450 to $1,500 per month, depending on the number of sessions we schedule and whether we do phone or in-person coaching. Group coaching runs about $200 per month. I see you are in Denver. How does it work if I don’t live or work near your office? managed through various means of communication technology. We even have clients around the globe we’ve never met in person! We find we can keep our costs more reasonable and still provide our clients with the highest quality service with this practice. What percentage of your business is coaching? coaching (“Leader as Coach” is quite popular), as well as my workshops on leadership, communication, building high-performance teams, emotional intelligence, and more. How many clients do you take on at any one time? I consider 10-12 individual clients to be a full practice. At times I will have a waiting list, or I may nudge that number up a bit if someone really wants to get started. In addition, I coach several groups. For example, I coach affinity groups (groups of people in similar positions, with similar interests and challenges). I have distinct groups for healthcare executives and city managers. Moreover, I work with a network of several highly qualified coaches to facilitate large engagements. Corporate executives, business owners and leaders, city managers and other municipal officials, state and federal officials, health care executives, higher education executives, and professionals (doctors, dentists, attorneys, Realtors, CPA’s, CFP’s, and other professionals). These are the fields where I have the greatest experience and can provide the greatest benefit. Do you coach by phone or in-person? Both. I have clients throughout the United States, and I make every effort to get together with you in person, especially at the start of an engagement. Depending on your budget, this may or may not be possible. I have some clients I’ve never actually met in person, and they report that our coaching sessions are the respite they need in their otherwise hectic, busy days, to think, reflect, plan, and prioritize. At the end of our phone session, they open the door with renewed confidence, knowing they are going forward with a thoroughly thought-out action plan for tackling their greatest challenges. While phone coaching and in-person coaching both work exceedingly well, about 80 percent of all my coaching is conducted by phone. It is much more efficient, convenient, and less costly for you. How often do you schedule coaching sessions each month, and how long do they last? With individual clients, we meet two to four times each month for a 50 minute session. In the beginning, we will spend more time together for an orientation and for debriefing the results of any assessments we might do. I am also available in between for short calls and unlimited emailing. In group coaching, groups meet twice a month for 50 minutes on a central telephone bridge line. There really is no “typical” engagement. I find every client and coaching group unique. I do, however, encourage clients to make a six-month commitment to coaching. My clients are dealing with highly complex issues. Some issues took years to evolve to this point, and sometimes we are dealing with behavioral or organizational change, and we just don’t resolve these matters overnight. At the same time, it’s important for my clients to know they set the pace for their progress; they create their own results. In addition, I do not require a binding contract in coaching, and individuals may terminate the coaching engagement at any time. So while a six month commitment is encouraged, we may go less, and many of my clients go longer. You completed three national coaching training programs, one requiring three full years. Why? Most coaches complete only one, if that. 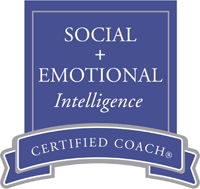 to be the best at what I do, and I continue to take and teach classes in coaching, leadership, communication, emotional intelligence, and many other subjects which serve to enrich my clients and our work together. understand the challenges my clients face every day. Second, I’ve been teaching graduate students, adult learners (average age of 37) for over 15 years now, and I absolutely love watching individuals learn, stretch, and grow. Coaching fosters accelerated growth, and I feel fortunate to be in a position to see and support this every day. In addition, through the combination of my education, training and experience, I have developed a tremendous resource base which can further accelerate the growth and learning of my clients. I love this work. Nothing could be a more rewarding, satisfying livelihood. And third, my work allows me to bring together my lifetime of experience in large-scale organizational change, leadership, building and working with high-performance teams, conflict management, negotiation, and adult learning, all topics I seriously enjoy, in a way that benefits my clients and myself. Call or email me to schedule an introductory coaching session to talk over what you are looking for and what you want to accomplish. After that, we both decide if coaching is right for you now and if we’re a good team. If so, appointments are made, targets and goals are set, new insights and learning begin, and so does the fun. are available upon request, or see our testimonials page. and number to individuals whom you believe could benefit from our services. Why do you offer coaching in two formats – individual and group? Some executives like to work privately with a coach, and some enjoy coming together with other individuals in group coaching. Our groups are communities of individuals who work in similar fields and positions and share ideas, best practices, and the collective wisdom of what is often several decades of experience during each group coaching call. than group coaching, but also more personalized, individualized, and tailored to the needs of the individual executive. Group coaching, on the other hand, is more cost effective for some folks, and while we are able to get into individual issues on all group coaching calls, the time spent on individual issues is naturally less so we can get to everyone’s needs and challenges. The beauty of group coaching, however, is that with our small group format (6-8 individuals), group coaching clients report that an issue brought up by one participant is a similar issue they are currently wrestling with as well.